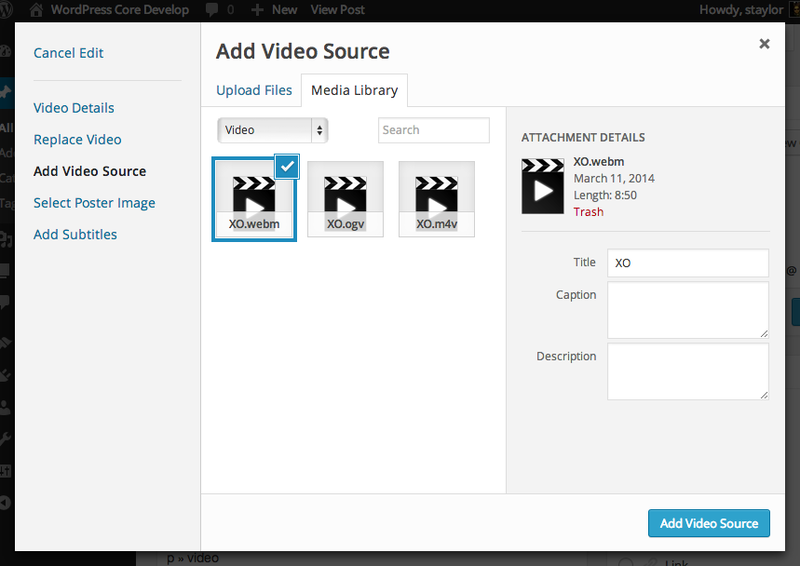 When you click the placeholder, the media modal will now be launched. 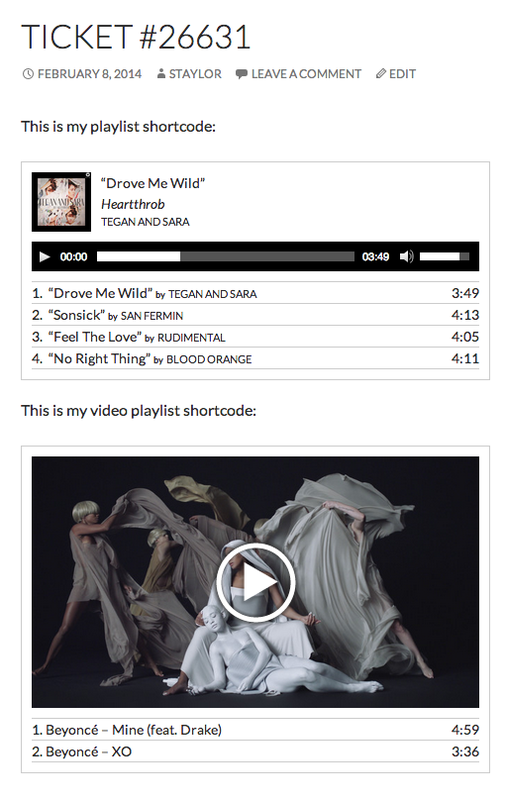 And when you get there, there are some new ways to manage HTML5 playback without writing anything by hand. MediaElement.js provides cross-browser support for many extensions by providing Flash and Silverlight files that will bridge the browser support gap when necessary. 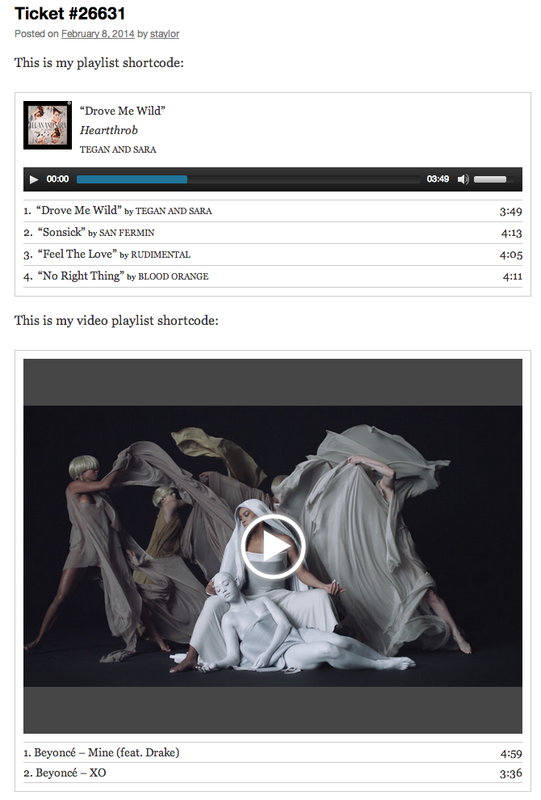 Ideally, as many browsers as possible would be using native HTML5 playback. To ensure this, you need to specify multiple versions of your files. 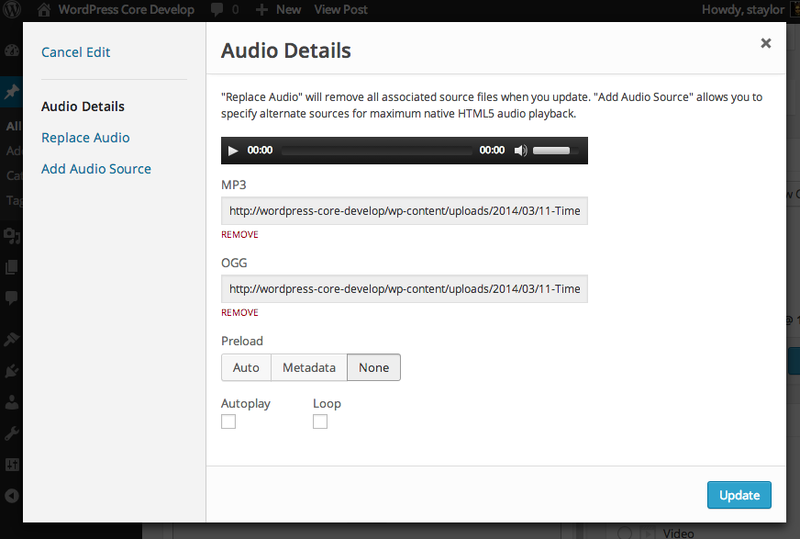 Since 3.6, the audio and video shortcodes have supported this by allowing you specify multiple extensions as attributes: mp3="yolo.mp3" ogg="yolo.ogg" wma="yolo.wma", etc. Multiple sources are specified now. Make sure to click blue “Update” button to save your shortcode back to the editor. If you’re feeling CRAZY, add some Subtitles! Here’s a post about them. They’re pretty cool. Probably make sure your web server is serving .vtt files as text/vtt. When you add your subtitles, if will show you a list of “track” elements you have added, you will still need to set your language manually – all will default to English. The idea is that you can add a track element per language. 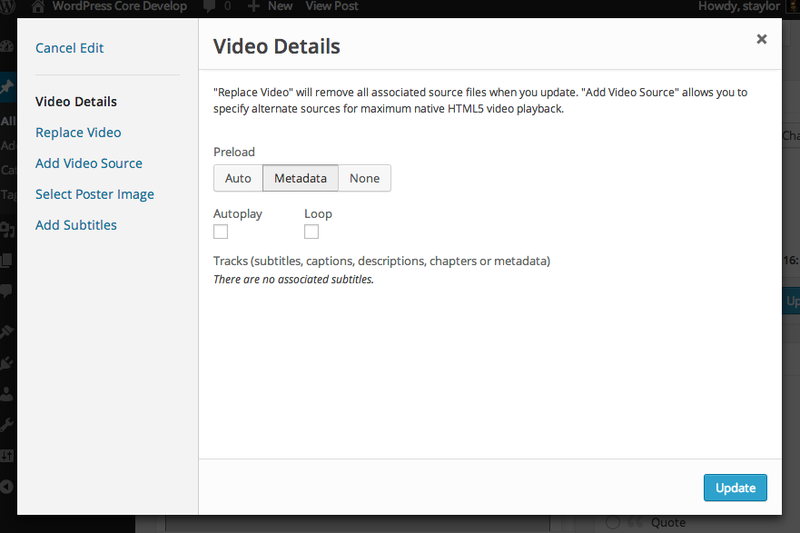 Tracks get stored as the body of your video shortcode. Now comes the time for testing and refining, while fixing esoteric bugs. PLEASE HELP! Put your UI + UX hats on, if you wear that kind of hat. A few items for conversation…. 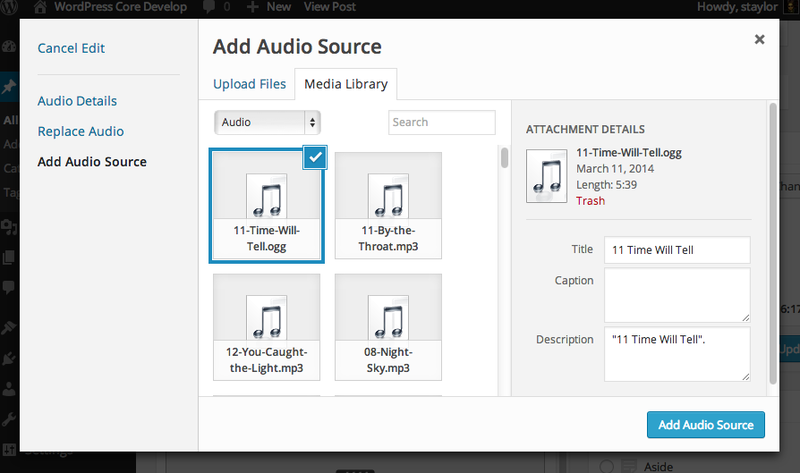 We have been parsing the ID3 tags in audio and video files on upload since 3.6. ID3 tags, in many cases, contain the binary bits for an image related to the item (album cover, still, etc). On upload, if your theme and the relevant pseudo post type for attachment:audio or attachment:video registered support for thumbnails AND your current theme supported it, we would upload the image bits and attach to the media item as its featured image. So basically it was a hidden feature, because it required you to jump through hoops to turn it on. On top of that, if you switch themes, and the theme doesn’t support thumbnails for audio or video, the images will no longer appear alongside the media on the Edit Media page. Weird. I would like to drop this code in soon, but I wanted to give an opportunity for feedback. All of this can easily be iterated upon once it goes in. This is ongoing – there has been a lot of code churn in the Backbone code, by myself and others, I’ll be picking this back up once that settles down. I wanted to do a Make post on my wants for Audio / Video in 3.9 to solicit feedback and spark some discussion about what the community wants / needs / doesn’t want / doesn’t need. Adding audio / video in 3.6 was a great first step, but there are some things we can do to continue to modernize Media and give our huge user base even more ways to display and manage their content. We can also make some changes that help developers navigate the new world of MediaElement.js, Backbone, and Underscore. #26628 Use the content of a video shortcode when provided. This ticket speaks for itself, and already has a patch. Works out of the box with any existing theme: the HTML should be semi-bulletproof. Many of the Player libraries make heavy use of DIVs instead of items that might be overridden easily with CSS: LIs and the like. Exposes enough data to the page so the themer/dev can make their own decision regarding display of album cover, track meta, captions, etc. 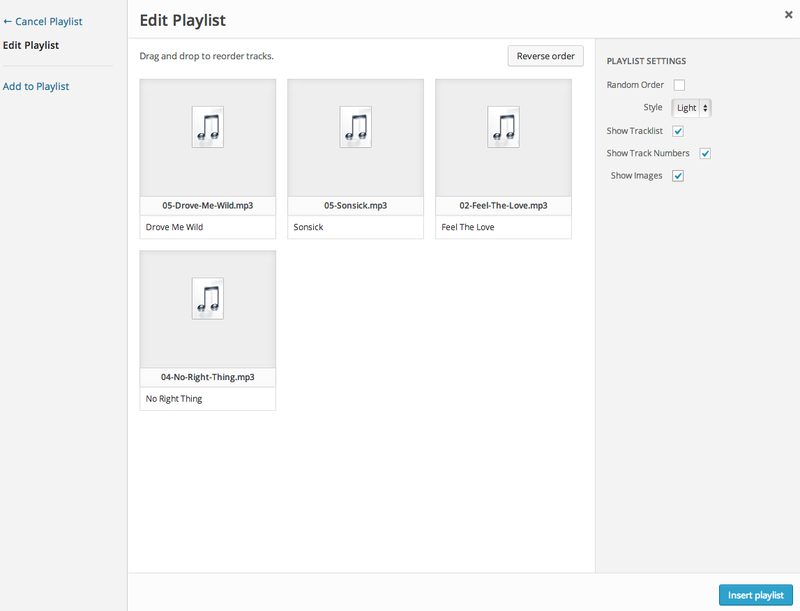 My current UI for playlist is a basic one, and uses Backbone Views to render the tracklist on load and update the “current” playing track view. There are 2 camps of people when it comes to “JS on the frontend” – one who doesn’t like it (others) and one who says “who cares” (me). One of the reasons I am posting this at the beginning is so we can flesh out issues like this. 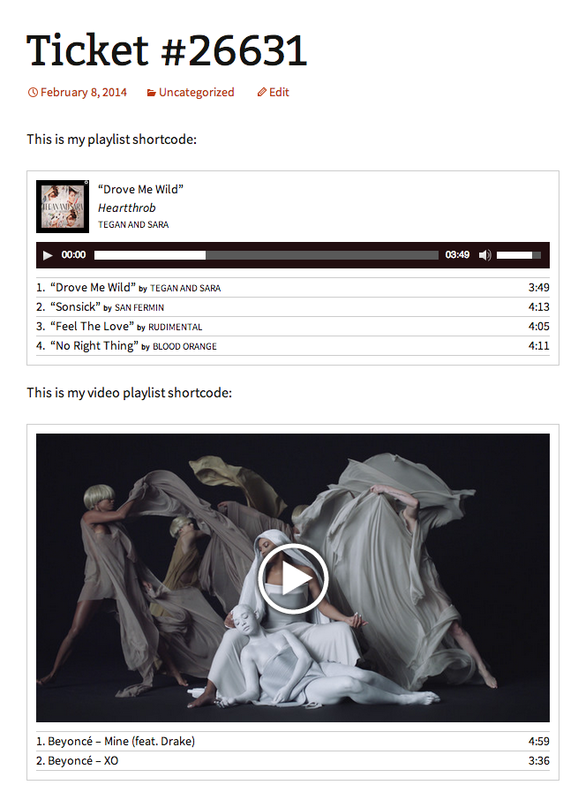 I have already done a first pass at this in the playlist shortcode patch. It goes like this: a “gallery” is really a “collection” of attachments of type “image.” A “playlist” is really a “collection” of attachments of type “audio.” So they should extend or be instances of a “collection”-type class. Currently, the Gallery code has to be dupe’d. By abstracting this code, Gallery, Playlist, Video Playlist, + any other “collection” of media type can be registered minimally. 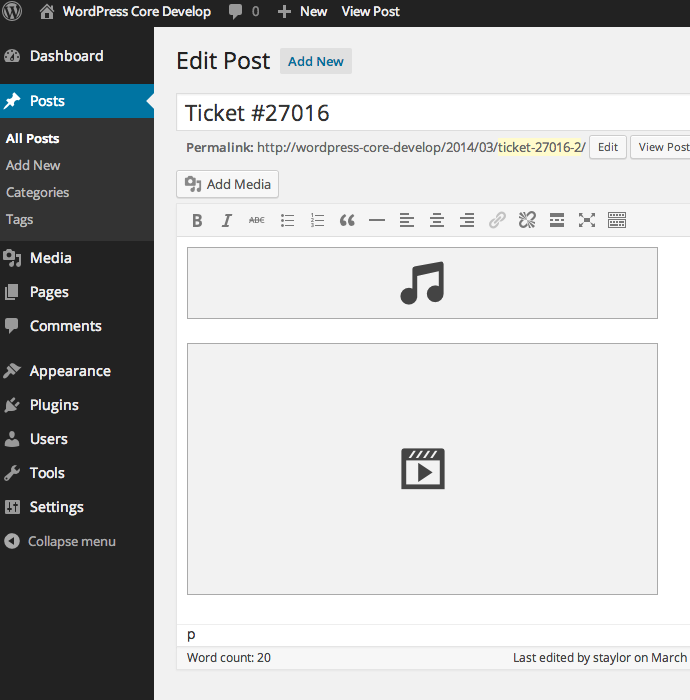 Post Formats are a big feature in WordPress 3.6. 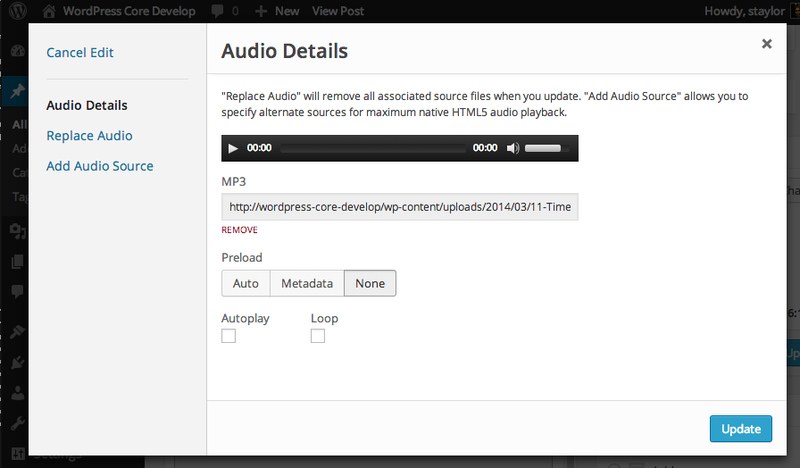 What you may not know is: there is now native support for Audio and Video in core! There has been great support for embeds by way of WP_Embed and oEmbed providers for a while, but, if you wanted to play an MP3 from your Media Library, you had to install a plugin. Supporting audio and video in core gives bands, podcasters, vloggers, et al the ability to easily and beautifully expresses themselves through sounds and moving pictures without using an external service. At the core of the experience is the fantastic library, MediaElement.js. MediaElement is the facade layer that gives us maximum file support and cross-browser compatibility. While some libraries require a Flash-only solution to make your media work cross-environment, MediaElement lets you use HTML5 audio / video tags in every browser, and, only when necessary, will use a Flash or Silverlight plugin in the background to make incompatible media work. Translation, things like this: <audio> tag works in old IE, Windows Media files work in Chrome. 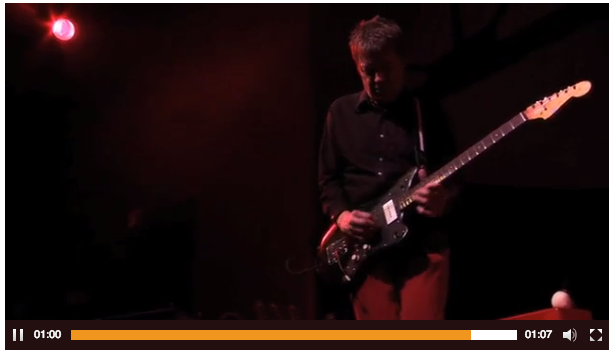 MediaElement uses the same HTML markup, regardless of playback implementation, and you can use CSS to skin the players. MediaElement’s great, but we don’t want to be locked in to one external library forever. 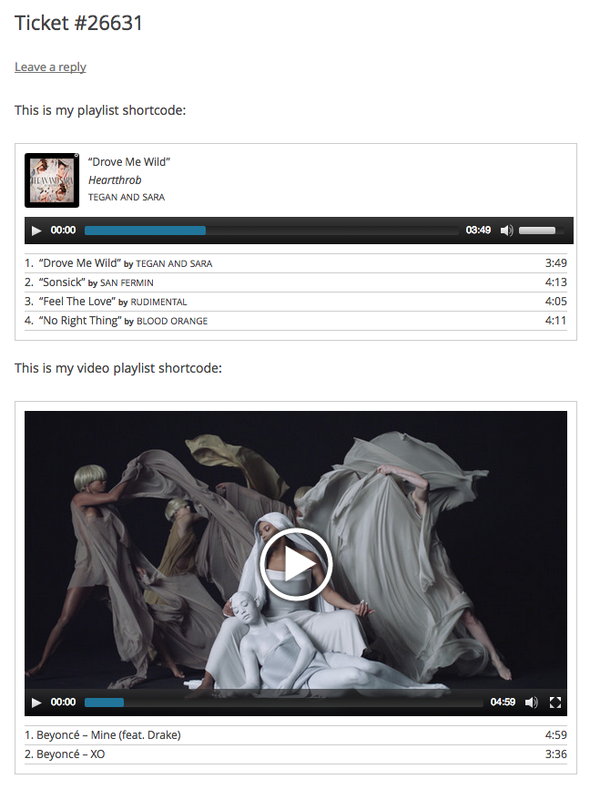 Instead of using MediaElement-specific markup everywhere, we expose audio and video markup through shortcodes: [audio] and [video]. I like this song because it is really cool! 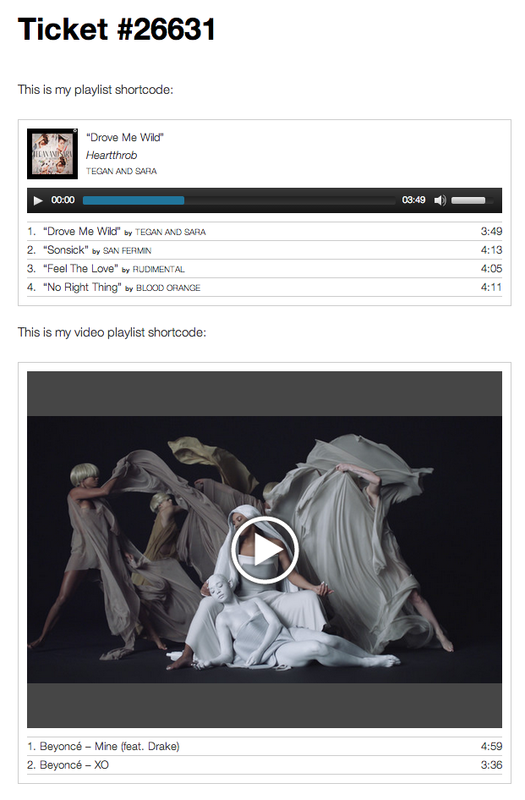 Using the new post formats UI, it is even easier to get directly at the audio and video in your Media Library. 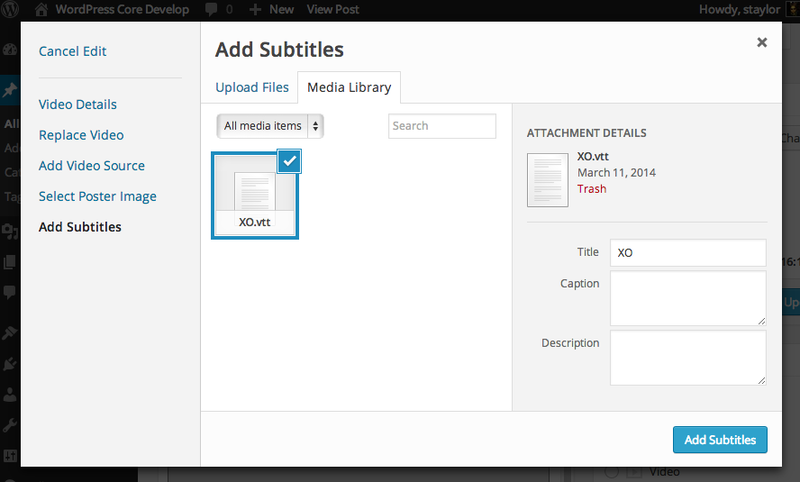 When selecting, the media modal opens to your library, filtered by media type. Themers can get in on the action, too, using structured-post-formats in their theme (Twenty Thirteen is a great place to look). The admin gives users flexibility when associating media with a post. 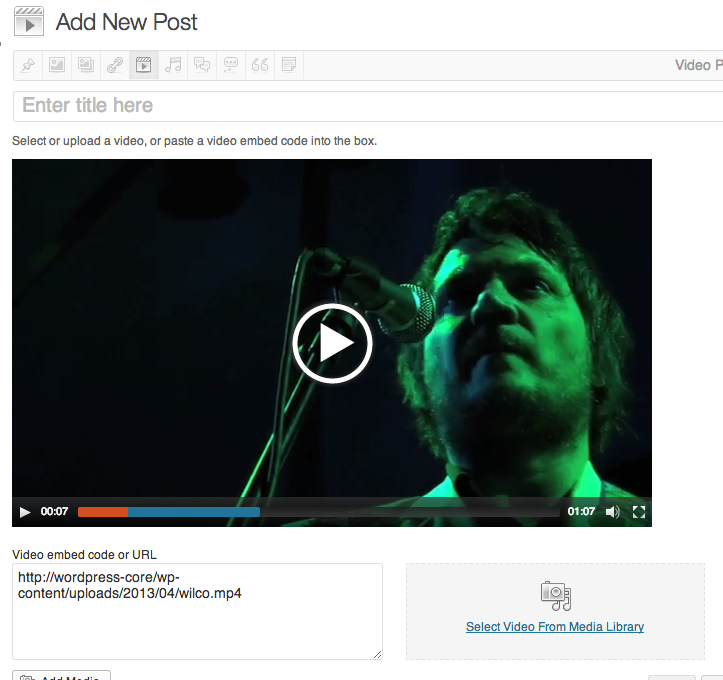 the_post_format_audio() and the_post_format_video() will automagically retrieve and output your media in the front end.